Since 2004, VITAGEN's Home Delivery Distributors have shared and communicated the health benefits of drinking VITAGEN regularly with their family and friends, while earning extra income at the same time. 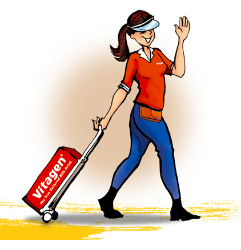 It’s really easy – just join our family of VITAGEN Home Delivery Distributors! You can also visit us at any one of our Branches Nationwide if you prefer to meet face-to-face.